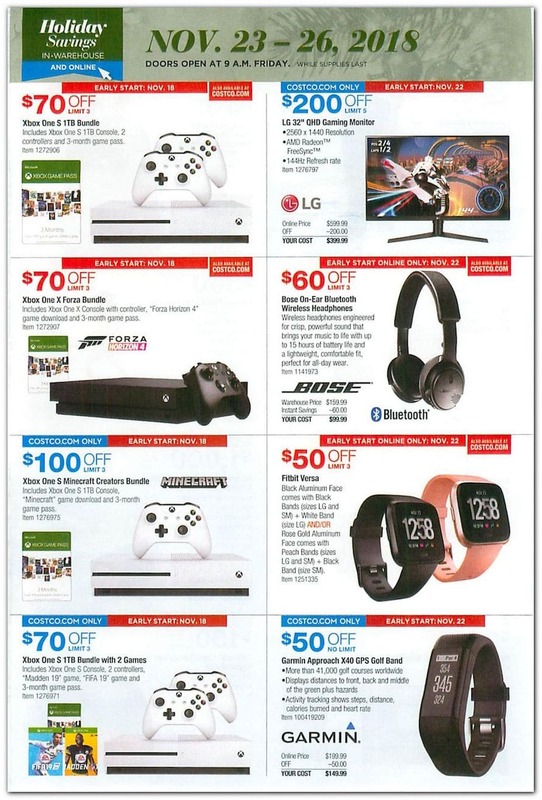 View Costco Black Friday 2018 ad – sale is valid from November 22 through November 26. 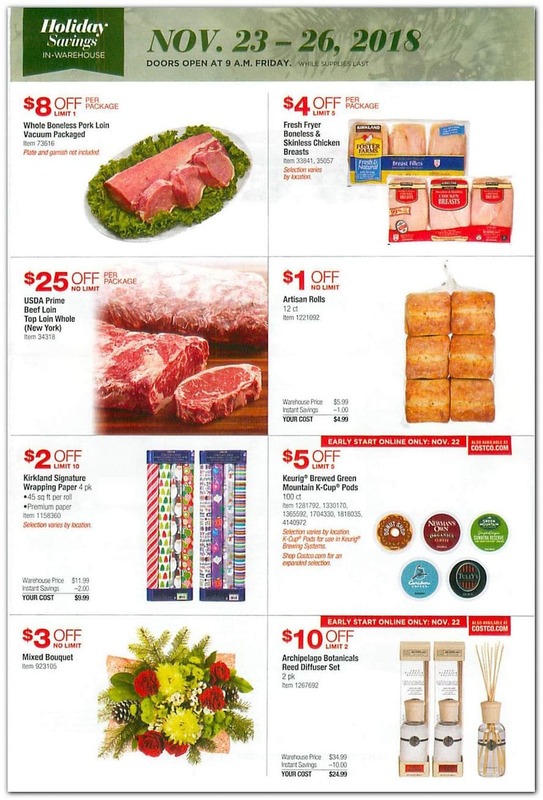 Costco will be closed on Thanksgiving Day and will open early at 9 am on Black Friday (November 23rd). 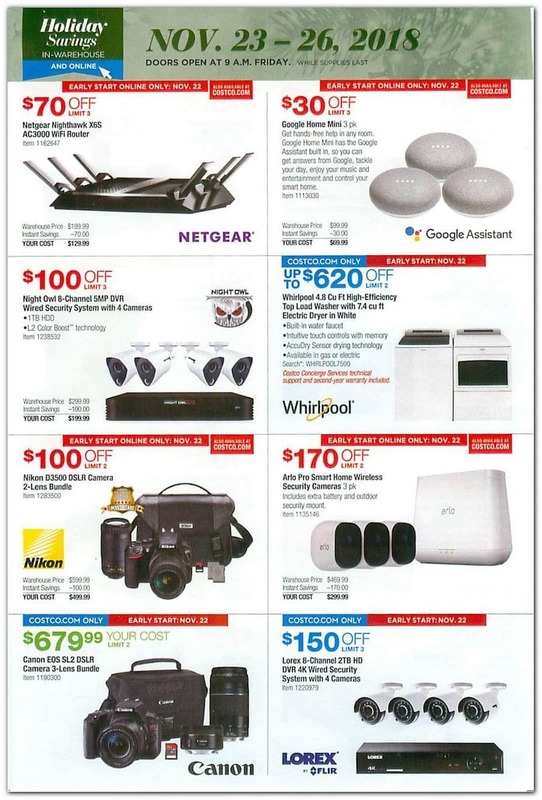 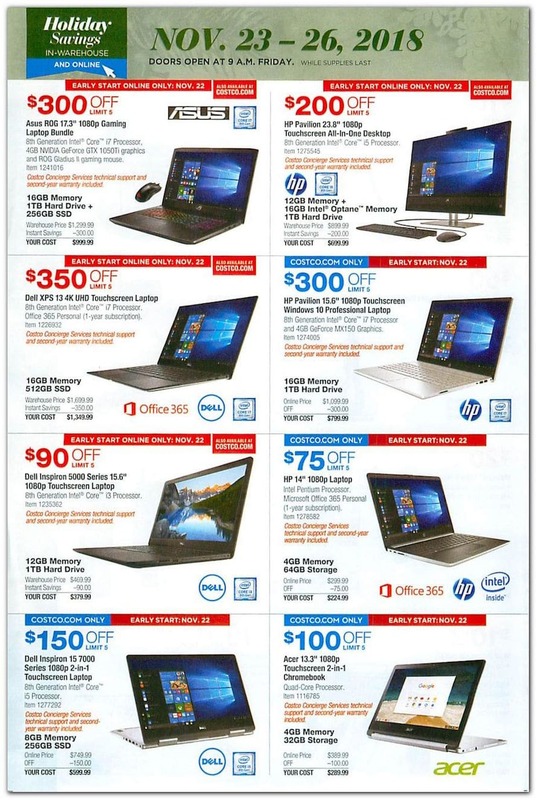 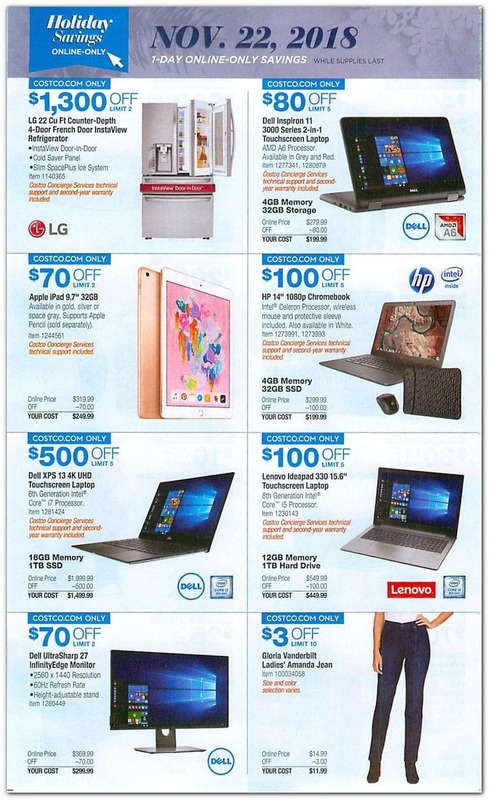 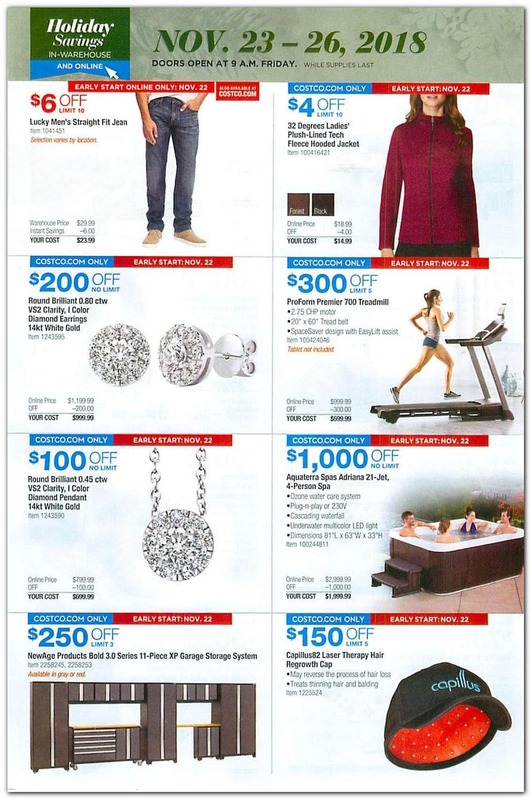 In addition, we also posted the Costco Extended Black Friday Ad, which runs from November 16 through November 26. 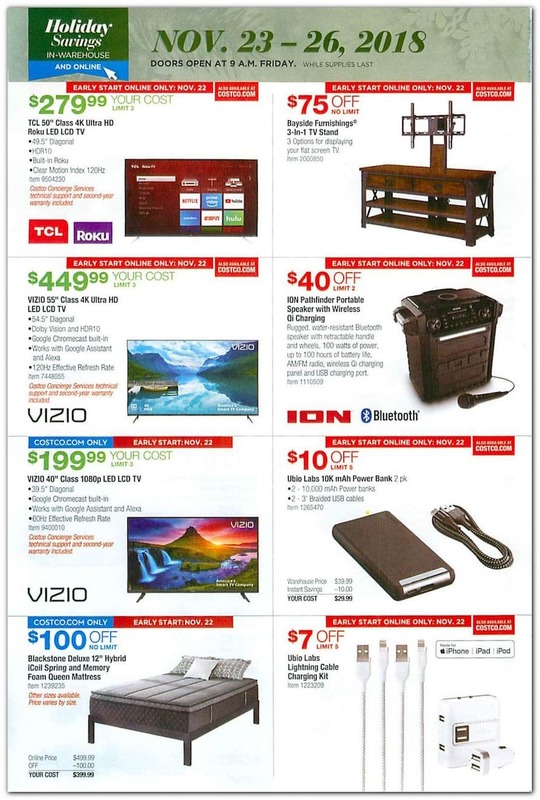 Save with this year Costco Black Friday deals on kitchen appliances, full HD, touchscreen laptops, digital cameras, cordless rechargeable stick vacuums, TV stands, full HD monitors and massage chairs. 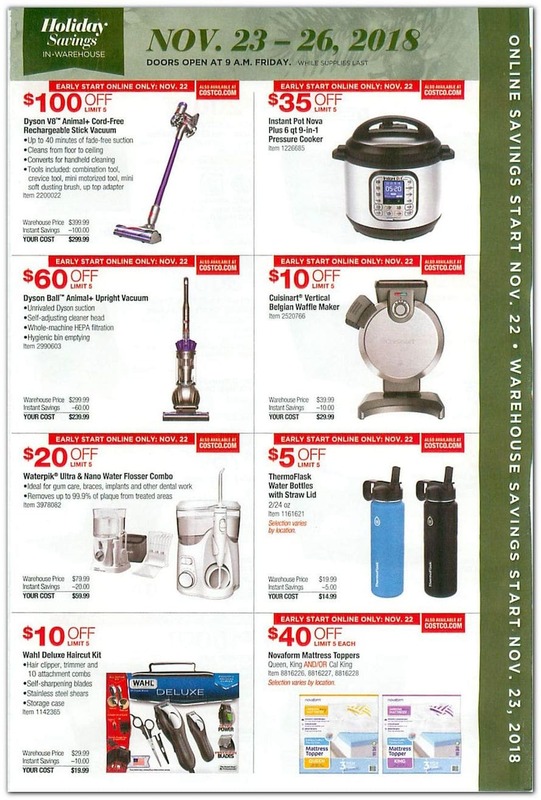 Don’t forget to check this year Costco Black Friday deals before heading out to shop.